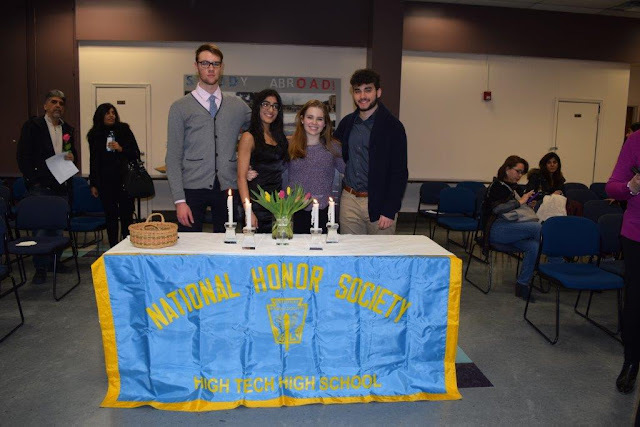 (North Bergen, NJ—January 10, 2018) The High Tech National Honor Society (NHS), moderated by veteran Language Arts teacher and Department Liaison Joan Marie Bellotti and veteran History teacher David Polito, recently held its Induction Ceremony in the Resource Center of the North Hudson Center of Hudson County Schools of Technology, announced Dr. Joseph Giammarella, Principal of High Tech High School. 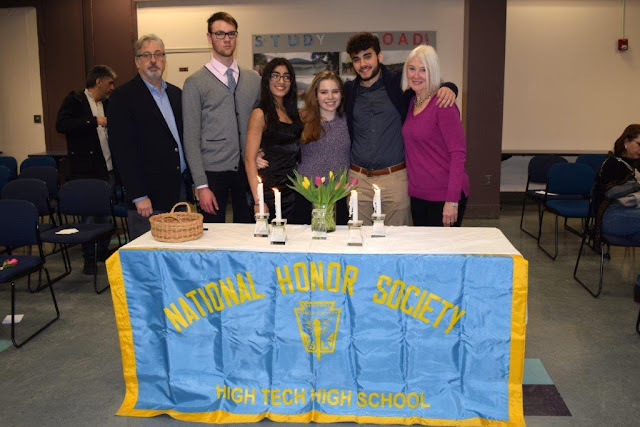 Once more, Polito had served as Master of Ceremonies. 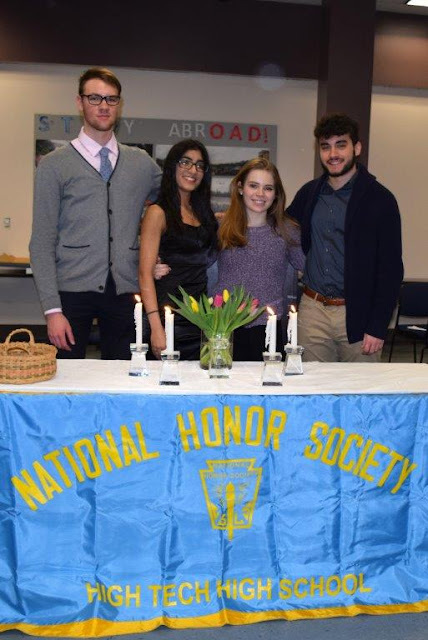 Recognition of scholarship, leadership, service, and character went to Bayonne resident Dmitry Shlyapnikov, Shelina Chotrani of Secaucus, Harrison resident Danny Mota, and Alyssa Mojica of North Bergen, respectively. 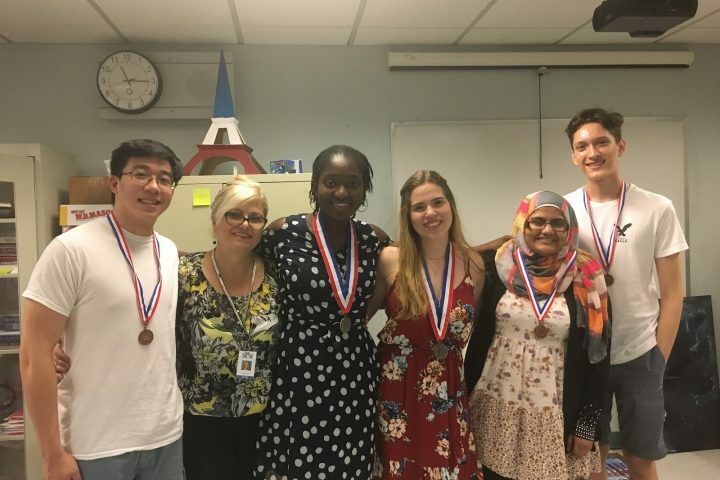 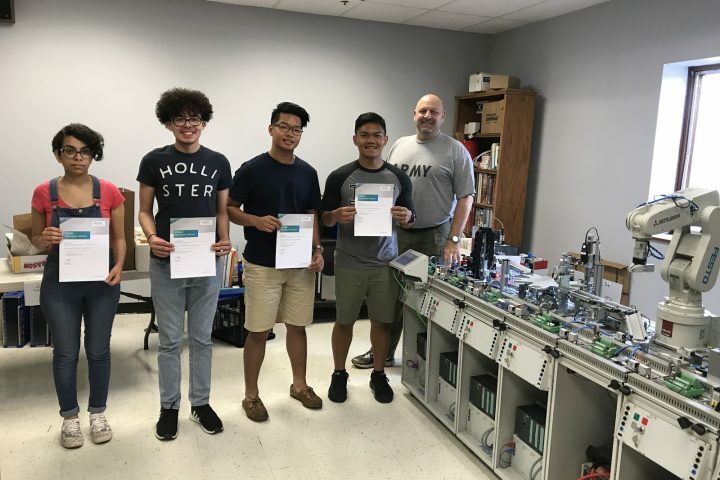 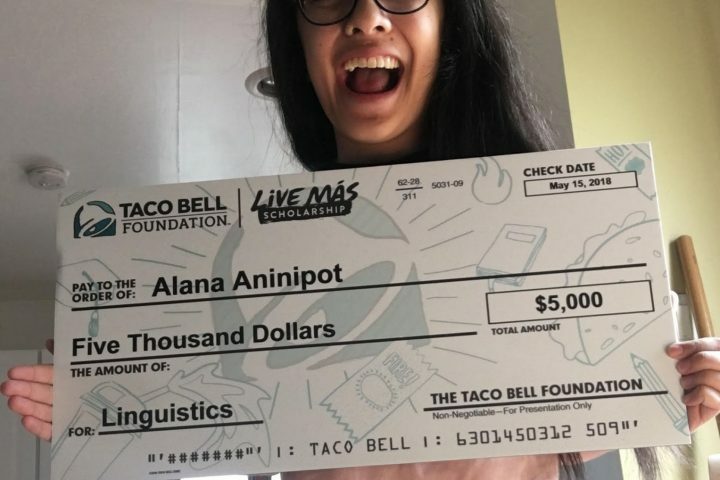 In addition to those four scholars, 54 other scholars made the NHS: Daylen Ala, Tyra Almonte, Tige Anderson, Katherine Aczon, Alex Becerril, Memphis Chen, Sharan Chotrani, Gabriella Davila, Jose DeJesus, Jonathan Fam, Nicholas Franciso, Rohan Gajera, Anne Gao, Emily Gocon, Jonas Gomes, Karen Guaman, Ivanna Guerrero, Brianna Guido, Ghenwa Hassan, Yingxue Hu, Duaa Jaafar, Ina Jang, Rachel Kim, Jeremy Lewan, Maryvit Luna, Isha Mahat, Brianna Martino, Kaylynn Montgomery, Amir Mustafa, Katrina Origenes, Andrea Ortiz, Hena Pardasani, Tanisha Pardasani, Jahnav Patel, Amolak Plaha, Martha Reyes, Anna Rezk, Camille Romano, Alicia Romero, Jaclyn Rosa, Angelica Salgado, Hailee Scarafile, Jeel Shah, Soham Shah, Tanushri Shah, Vanshika Sharma, Andrew Shenoda, Sumyya Tahch, Bhavika Teli, Joan Marie Tubungbanua, Muhammad Umar, Melissa Velasco, Nia Washington, and Eleanor Woodruff.